If you haven’t heard yet! 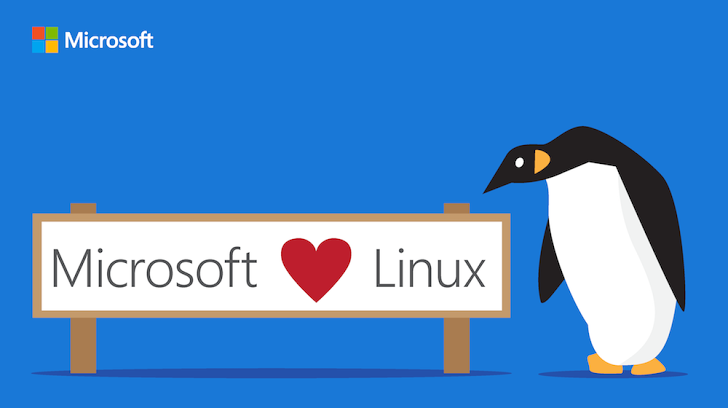 The SQLServer Module is available for Windows, Linux, and MacOS. Yes! 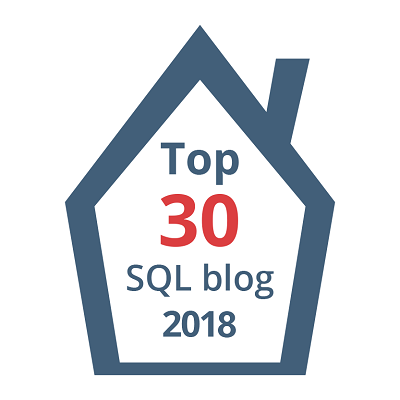 And, with it,now you can even expand your scripting using .NET SQL Server Management Objects to manage your SQL Server Engine cross-platform. It’s available in PowerShell Galley. 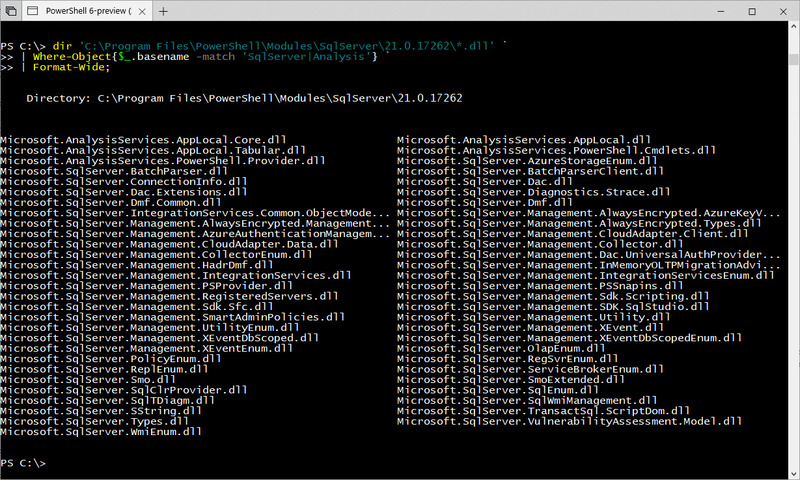 Just run the following command to install the module in Windows PowerShell and PowerShell Core. Yes, you read it! Install in PowerShell Core for Windows, Linux, and MacOS. Contains all of the SQL Server Management Objects .NET assemblies that will work in both Windows and non-Windows Systems. At the same time, it contains a total of 63 commands. This will support all existing SQL Server 2017(and older) on your network. Of course, there will be some limitations because there might be some features lacking in older features. But, for most use it will work. 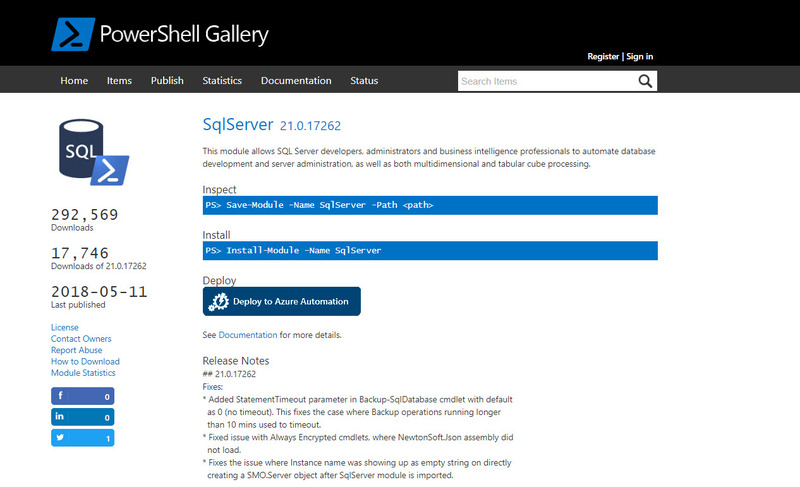 It also includes the ability to provision the SQLSERVER: drive when you import the module. Although, I’m not a fan of using SQLServer: drive. This will allow you to navigate thru the SQL Engine like a file system from the console prompt. In order to use the drive, it need to be recreated with the proper credentials for cross-platform use. Below steps will create additional SQLServer: drives to another SQLServer on the *network. Note: In this example, I’m using SQL Authentication. 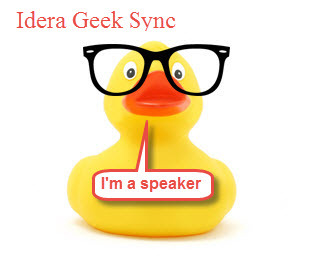 Now, I can navigate thru my SQLServer objects like a filesystem. Wait! 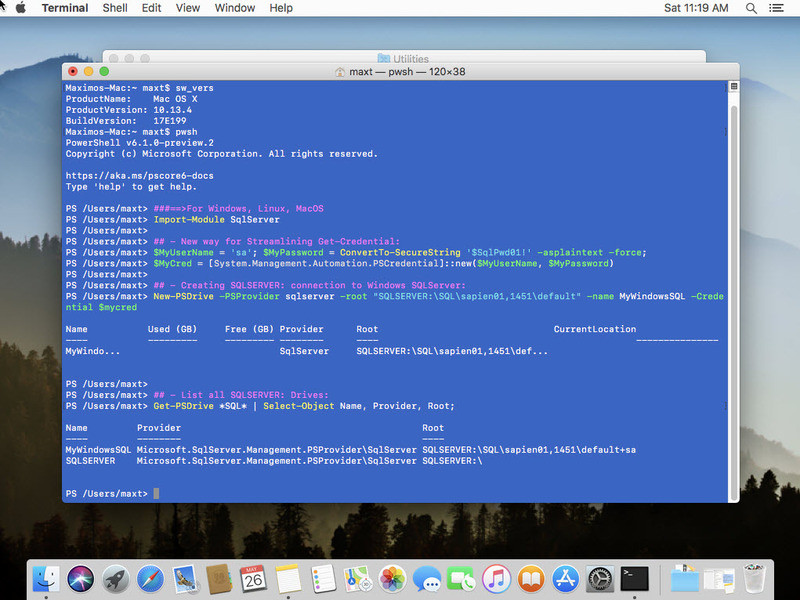 Did you notice I’ve created a SQLServer Drive in MacOS? This is Awesome! By the way, there’s no Docker involved in here. The fun doesn’t stop here! What about using SMO scripting? If anyone have been following me recently, everytime I’ve created the SMO script, I always have to load the assemblies before I can connect to the SQLServer. The above code is not needed if the SQLServer module had been previously imported. This way you will code less. 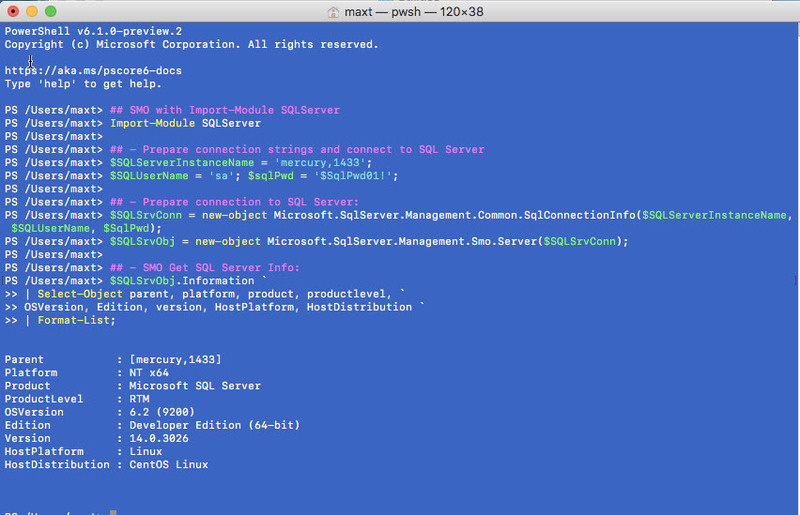 As you can see, there’s no reason why not try and experiment using PowerShell Core with SQL Server. Next blog post I’ll be creating this script code in the hybrid-script function that can be executed cross-platform. I mean, on any PowerShell version too. Now that PowerShell SQLServer Module is available cross-platform, I will see others Community SQL modules (DBATools, DBAReports) making their way to PowerShell Core. Of course, it will take some before it becomes available! 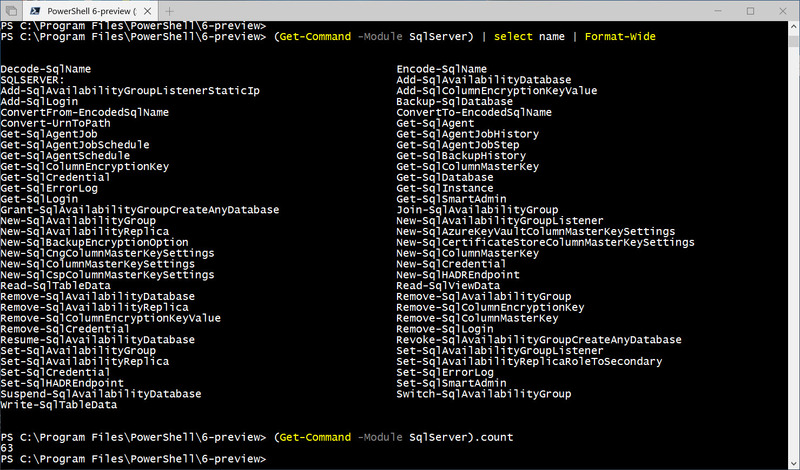 In the meantime, you can use SMO to build your own PowerShell SQL Scripts. Why not! Go and Expand your horizon!! Be Bold! Learn PowerShell Core!